There are people who say, "Better bread with water than Cake with trouble". Its bold and straight forward that cakes are not healthy. They are troublesome. Yea, I know it, we know it but, still we love it :)! So, why not go with a simple plain Atta cake this time?? 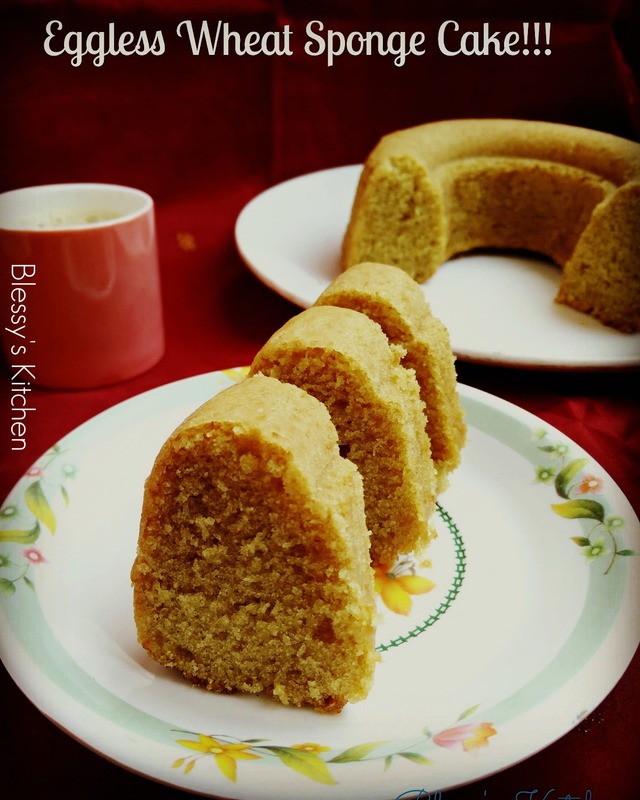 This Atta cake is light, soft and spongy and can be used for making pastries/layered cakes or just on its own for the evenings with a cup of tea or coffee. This is a crackerjack recipe I must say! 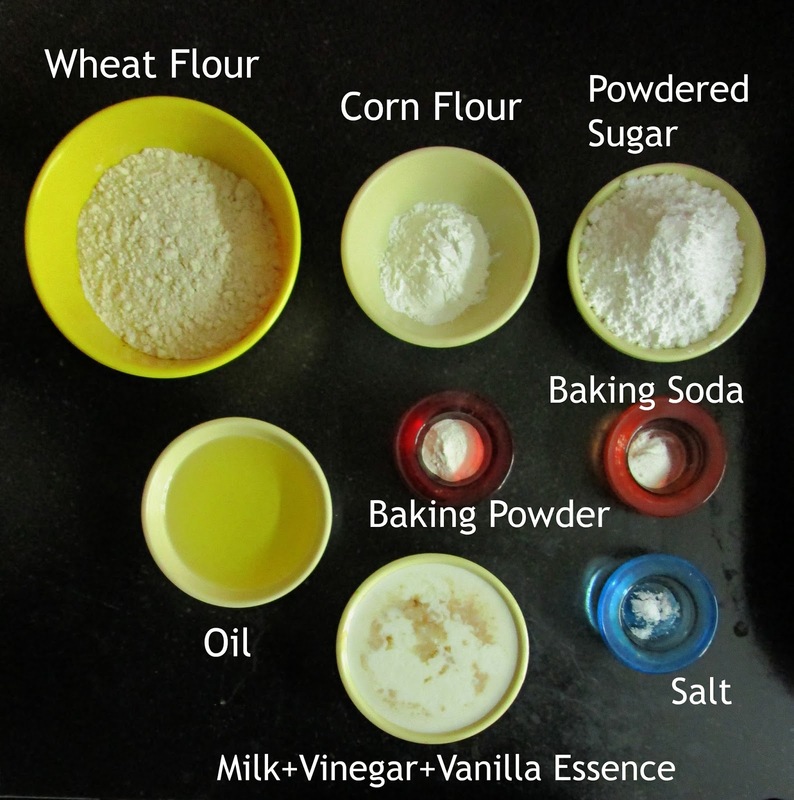 If you are reculent to use wheat flour in your baking, this recipe will change you. I always liked my All purpose flour cakes over wheat cakes. Now I also like this recipe equally! 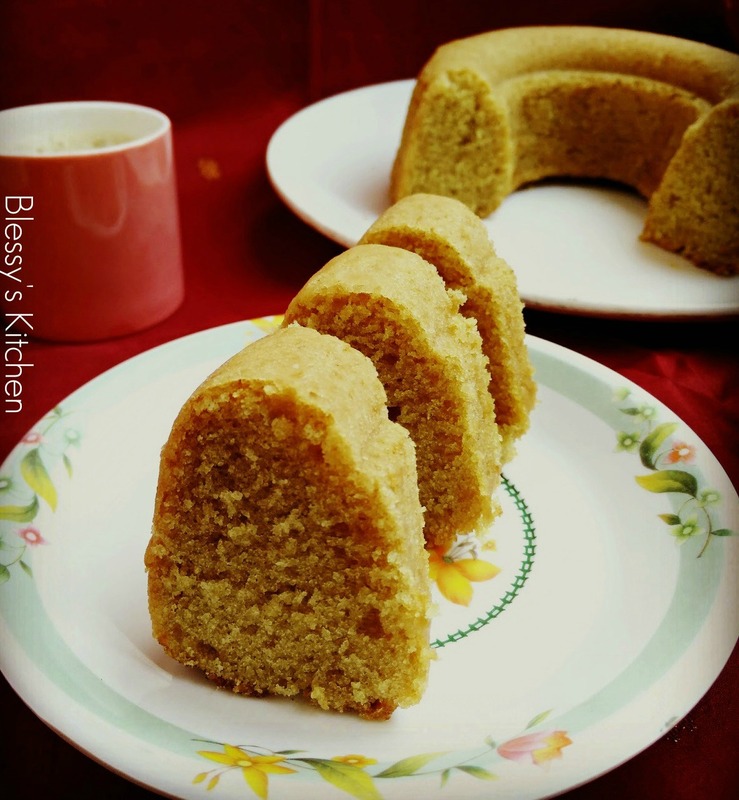 Don't buy your cakes all the time, make them at home too coz, homemade are not completely pesky and you could alter your sugars, substitute with jaggery or what ever. My self, I did'nt try with jaggery but I think that will work well too. If anybody has tried cakes already with jaggery or any other healty substitutes , do share your knowledge in the comments section below :). Now, it's time for Atta cake! 1. Begin by substituting 3 Tablespoons of wheat flour (from 1 1/2 Cups) with 3 Tablespoons corn flour. 2. Add baking powder, baking soda, powdered sugar and mix well. 3. 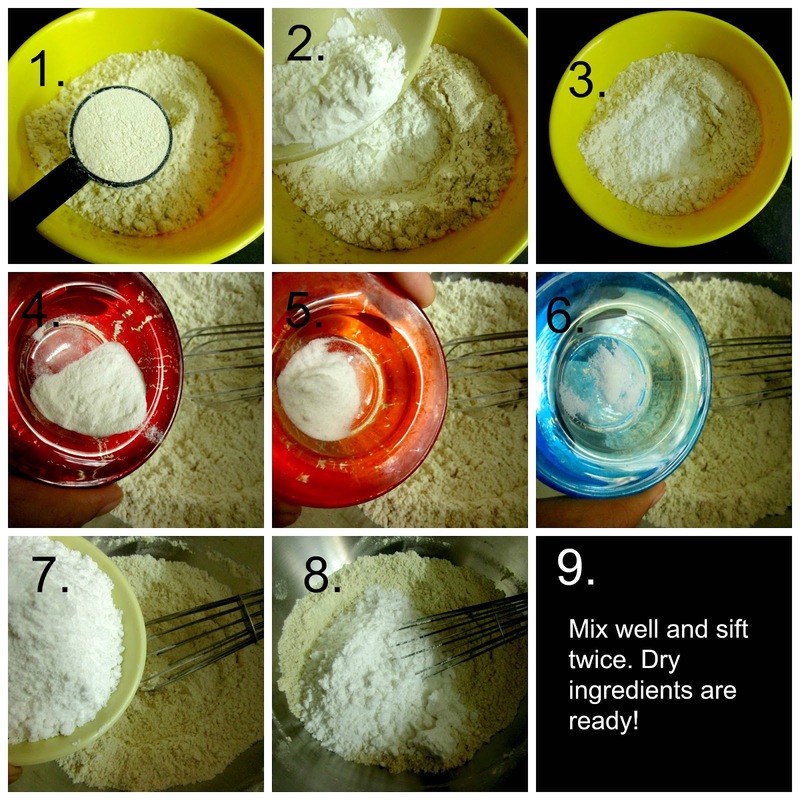 Sift the dry ingredients for two times. Now, the dry ingredients are ready! 4. Next, to the Milk +vinegar+vanilla essence (Milk and vinegar mixture should be rested for 10 minutes before use, the milk should get slightly curdled, to that add vanilla) add oil and mix well. 5. Add the wet ingredients to the dry ingredients and mix gently until everything is well combined. Do not over work the batter, you may end up with a dense cake . The batter should be smooth and lump free. 6. 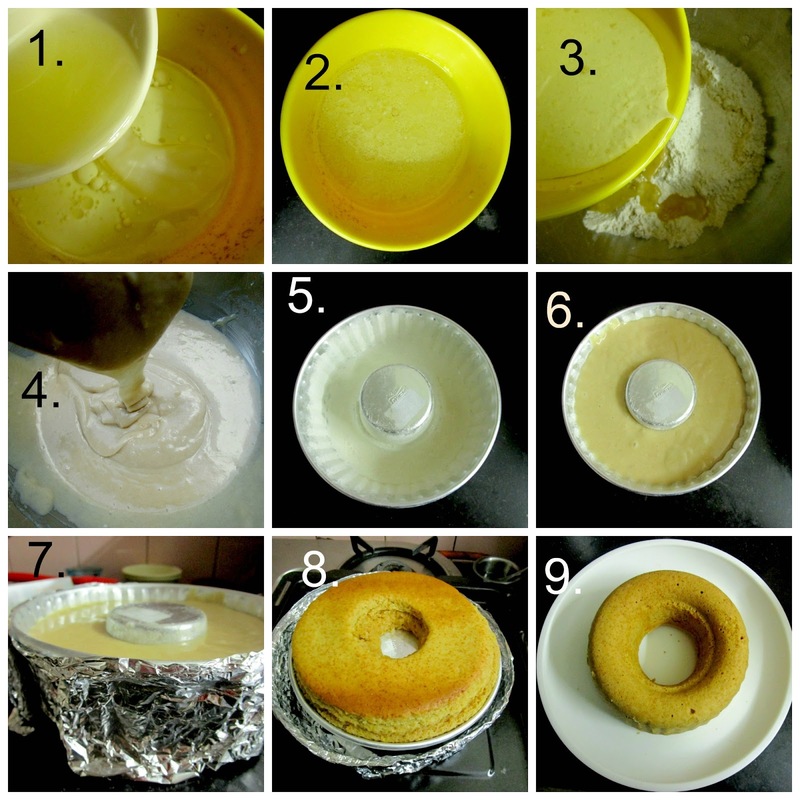 Pour the batter to a prepared cake tin, cover the sides of the cake tin with aluminium foil and bake in a pre-heated oven 180 degrees C for about 30 to 35 mins. If your cake is under done and the top of the cake starts to crack, reduce the temperature to 150 or low and continue to bake until done or toothpick comes out clean when inserted! 2. Keep an eye on your oven while your cake bakes because all ovens are not same.